Greetings, futurists! 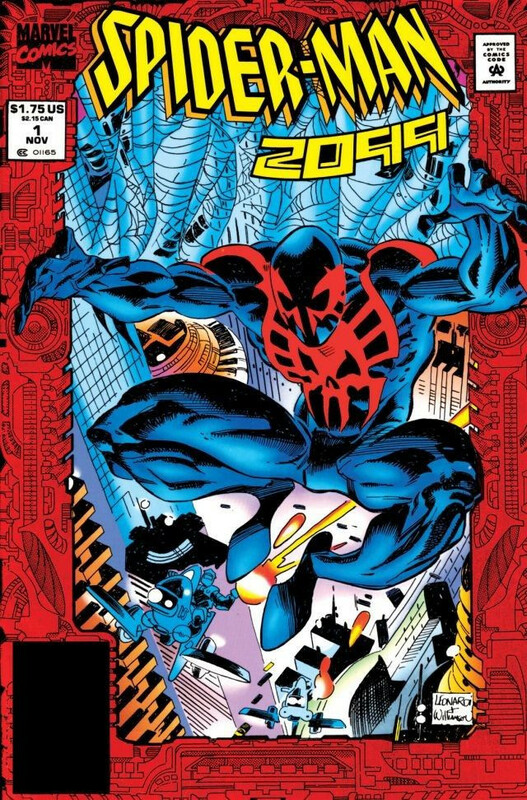 In this episode, Alchemax janitors Chris (@AceComics) and Reggie (@reggiereggie) head thirty-five years into the past...in order to rocket 107 years into the future when they read Marvel Comics' Spider-Man 2099, written by Peter David and pencilled by Rick Leonardi in 1992! After some creator biographies and an explanation of how this concept came to be, our duo delve into every page of this landmark issue, lending their guttural growls and burps along the way. 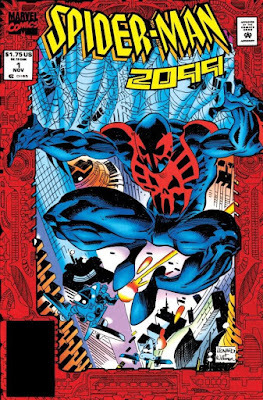 After a break, the pair return to finish off the creators' info and tell what happened to Marvel's 2099 line after this issue. And they wrap up with a look at some other comic book stories and properties that exist in the future––for that is where you and I would like to spend the rest of our lives! You don't want to miss it! This is a classic. I still have it. It's one of the comics that I didn't sell for Magic cards later. It really was a cool looking cover. I remember it was so shiny. 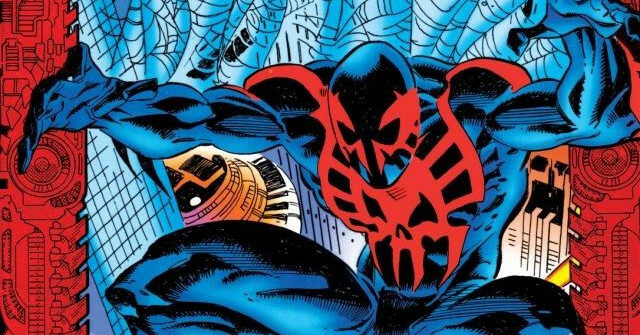 I also adored the 2099 characters.